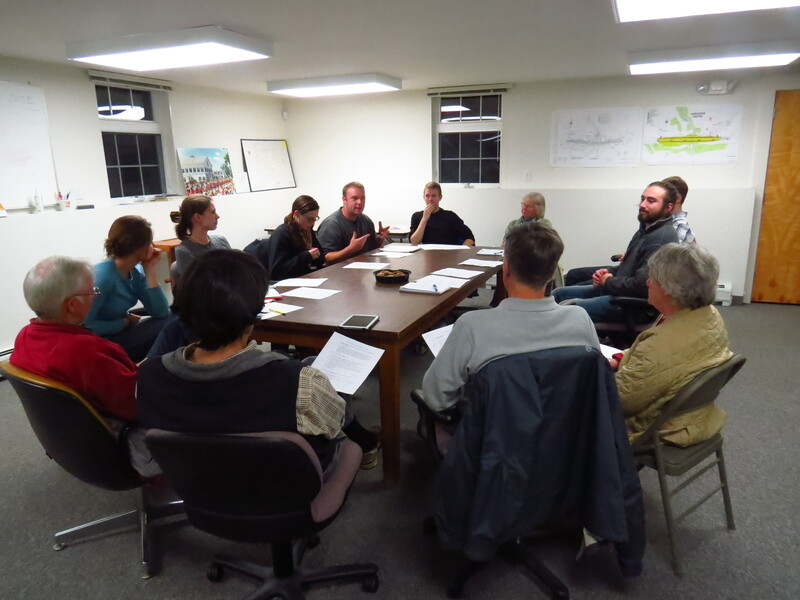 On November 7, students from Colby-Sawyer College’s Environmental Department attended the Andover’s Energy Group’s monthly meeting. The Andover Energy Group participants included Steve and Gisela Darling, Andy Prokosch, Larry and Susan Chase, and Jeffery Dickinson. This was the first meeting between the six student representatives of the College’s Third Year class and the Energy Committee. The student representatives included Hannah Raddatz, Nykki Stritzinger, Garrett Dunnells, Nathan Larrimer, Olin Jenner, and Theodore Hoople. After introductions the students were given time to present their project. They informed the members of what an EDAP (Energy Descent Action Plan) contained and the purpose of the document. Also the steps and current state of the EDAP were explained. The document that was handed out to the members and introduced the EDAP can be found here. Currently, the students are involved in retrieving raw data of many different areas of the community including Transportation, Energy, Health, Education, Food, Tourism, Local Economy, and Waste. This information will allow the Third Year project team to create a document that is both informative and useful to determine how the community can become more sustainable. Andover will then use this information and insight when making decisions on how to cut back on energy usage and make goals from improving community-wide resilience. It will also inform the committee and other community members where to focus their sustainability efforts. The Energy Committee members listened to the student’s presentation and a discussion took place afterwards. The representatives of the project reassured the members that they’ll be in continuous contact and will be a source of information for the committee. A major point presented to the committee was the importance of creating a quality EDAP with a detailed analysis of collected and research data that the community will be able to use to progress towards a sustainable future. The goal of this project is to allow the 9 towns in the Kearsarge Valley to take the EDAP and manipulate it to fit their envisioning of what the community will look in the future. The students and committee members were excited about the opportunity to work together to progress this initiative.